People often cook meals while referring a recipe, and following a recipe usually involves frequent measurements of ingredients. The measurement process involves converting numerical data in the recipe into corresponding amounts of physical ingredients, but this process is tedious and prone to error. We devised a means by which a robotic system directly converts numerical data on a digital recipe into physical quantities and built a prototype measurement device called 'smoon'. Smoon is a robotic measuring spoon that physically transforms itself to change its capacity according to recipe data stored in a computer or on the Internet. 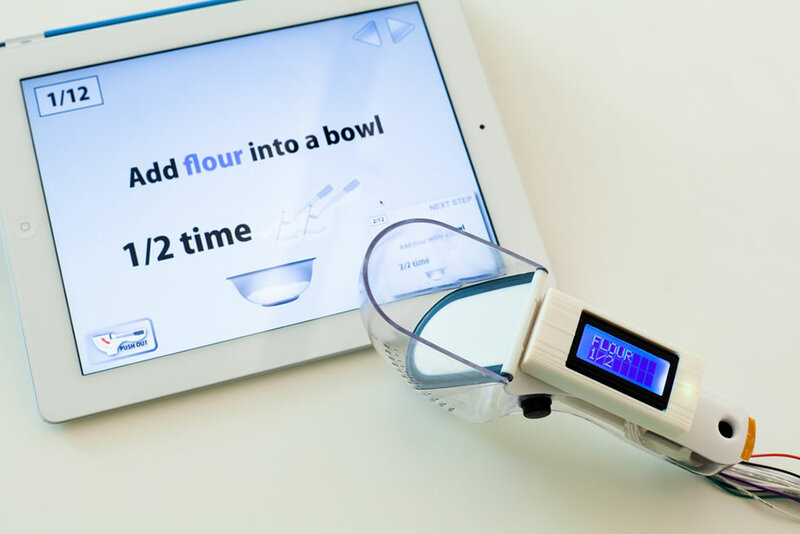 This system allows the user to cook a meal with a simpler workflow. The user obtains accurate amounts of ingredients simply by scooping: there is no need for him or her to pay attention to the quantity or units specified in the recipe.